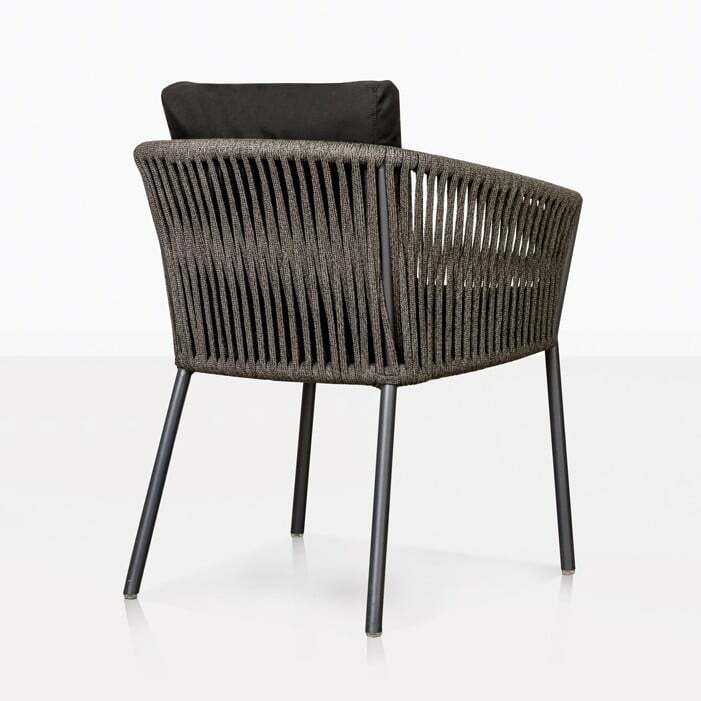 Comfort, designer style and long lasting… If you’re looking for a high quality, modern seat for your garden furniture, then look no further than the Washington Rope Outdoor Dining Chair. 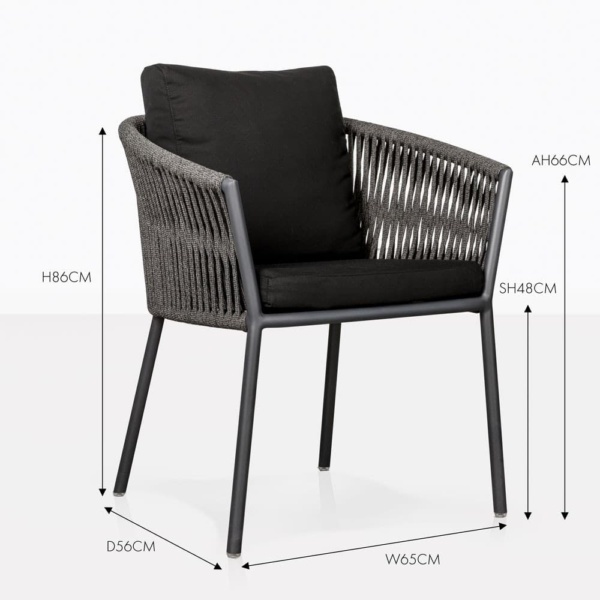 Elegant and comfortable, this beautiful dining chair is the cream of the crop and part of the illustrious, high end Washington Rope Outdoor Furniture Collection from Design Warehouse. The Washington Outdoor Collection is about marrying quality with style. From the patio dining chair to the sofa, each piece has a strong architectural base, straight lines, wide seat and beautifully rounded arms on the dark charcoal aluminum, and then elegantly wrapped with grey Italian Rope and furnished with plump, luxury cushioning. 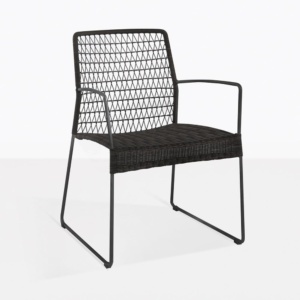 Alongside the Rope Outdoor Dining Chair, Washington Collection also features a Bar Stool, Sofa, Loveseat, and Club Chair. 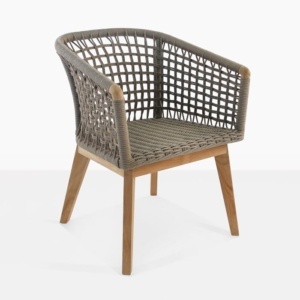 Whether you’re creating a whole new outdoor furniture setting or sprucing up a table, the Washington Rope Patio Dining Chair is a terrific choice for your garden, deck or verandah. Just imagine 8 of these gorgeous garden dining chairs around a huge rustic table; ideal for sitting around for hours on end, enjoying friendship, long lunches, and a bottle of wine as the sun goes down. Perhaps you are about to create a stunning designer outdoor furniture setting in your backyard, then start by setting up your dining table. For a modern set, start with a concrete dining table supported by several of the Washington Patio Dining Chairs. Place a Washington Sofa and a couple of Club Chairs adjacent to it for a spot to recline after a big meal – you’ll love the hours spent outdoors. 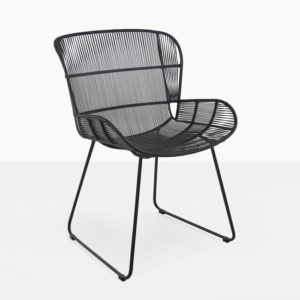 The Washington Rope Outdoor Dining Chairs are so effortlessly chic; many customers have questioned whether they can be used outside. 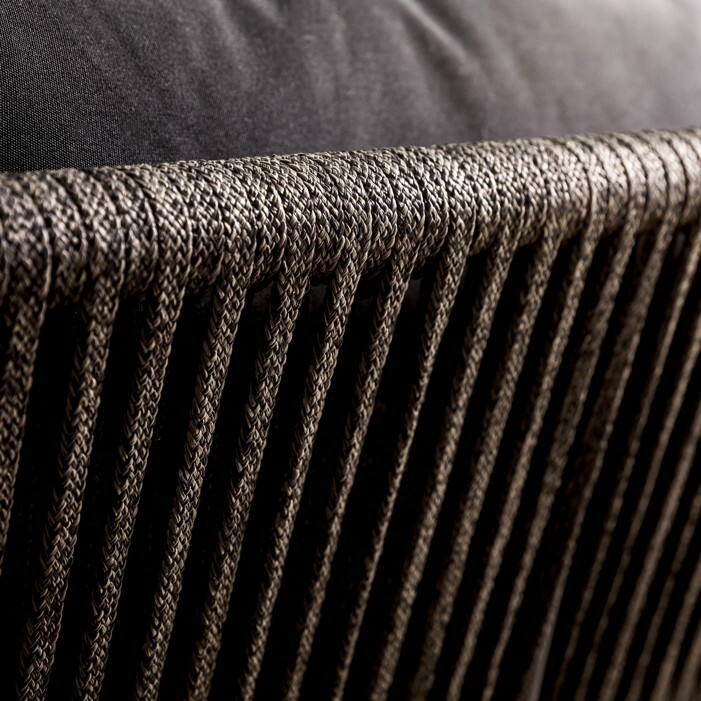 You’ll be pleased to know that the Washington Collection made with quality outdoor materials. Each piece in this fantastic outdoor furniture set is built on a sturdy, powder coated aluminum frame, wrapped with stylish Italian Outdoor Rope, and topped off with gorgeous Sunbrella® cushions filled with QuickDry® foam. 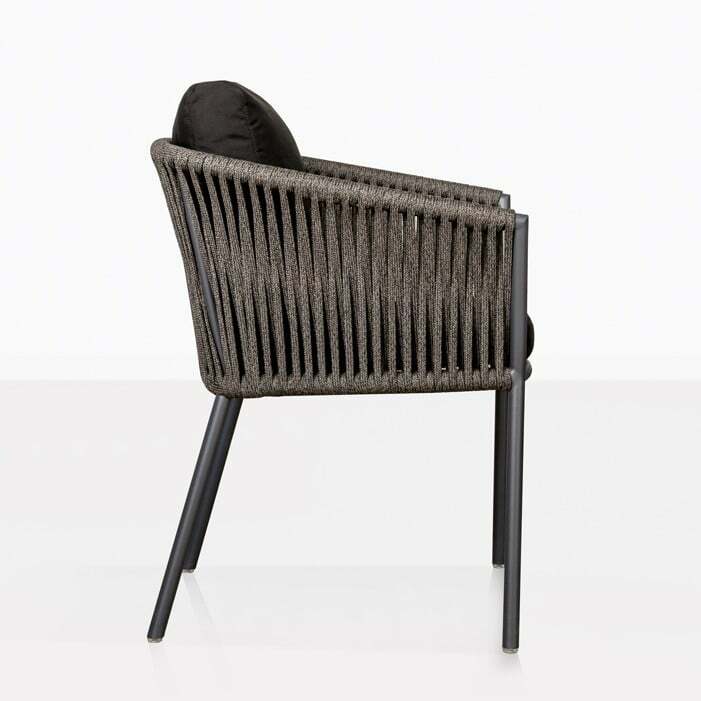 The Washington Rope Chair will add contemporary flourish to any outside dining setting, and keep you in luxurious comfort for years to come. Buy yours today!